Although Sandra Belton is the author of eleven books, she didn’t always want to be an author. She did, however, always want to be a storyteller—and story is certainly at the heart of Belton’s fiction. Belton’s latest novel, The Tallest Tree, was born from a true incident. A few years ago, she overheard a young person asking who Paul Robeson, and was immediately taken aback. “The idea that our young people have not heard the name of this Renaissance man of the twentieth century…blew my mind,” Belton said. Belton researched numerous sources, including Robeson’s biography, Here I Stand, before setting off to find a way to “talk about this hero without being didactic.” The result was The Tallest Tree, which Booklist called, “A realistic, hopeful story of finding one’s roots…” With the novel, Belton hoped to not only inform young people about Paul Robeson, but to also inspire her readers to investigate on their own. In the back matter of the novel, the author included a wealth of information including websites and book lists about Robeson. 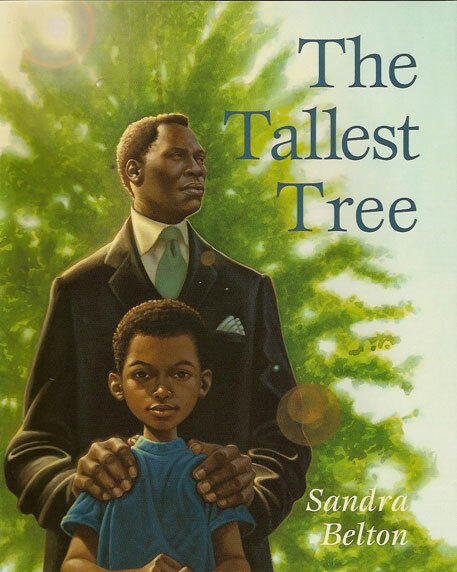 The Tallest Tree was not Belton’s first foray into novels featuring famous African-Americans. From Miss Ida’s Porch celebrated the life of opera singer Marian Anderson, who, like Robeson, was a famed entertainer and activist. The novel, based on her own childhood community in West Virginia, is as much a celebration of family and community as it is of Anderson. Based on the number of books she’s written and fans she’s collected over the years, I think we’d have to agree that Sandra Belton has succeeded at her goal. I admit that I’m biased, and prefer to read about the lives of musicians instead of sports figures. Not a lot of young adults know the history of African American musicians before Motown, so it’s especially great that these two books are out there. And what a beautiful website Ms. Belton has. Thank you for the introduction to her. I had my first students researching Robeson last week when they were assigned names for a McCarthyism project. I’ll be adding these titles to my collect (I’m a 5-12 community school) so hopefully students will be drawn to Robeson out of sheer interest! Great interview! Loved hearing about the inspiration for The Tallest Tree. Wishing Ms. Belton continued success. I am so proud of and delighted for this author. It high time that she is recognized for the genius and sensitivity she brings to the literary advancement of our very diverse young people. Every child should know about Paul Robeson — I’m so grateful that Ms. Belton wrote this book! I love the way she’s written about public figures in such a personal way. Great interview. 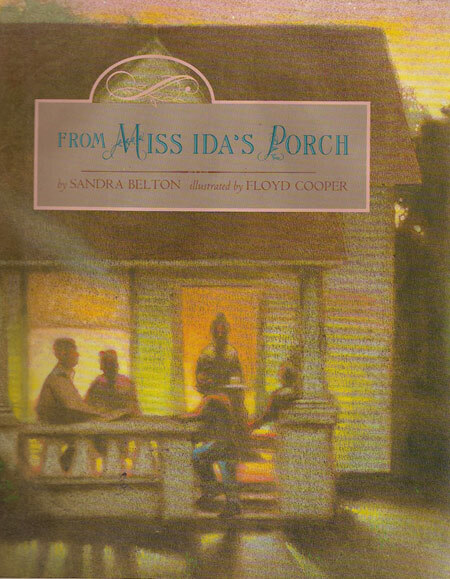 FROM MISS IDA’S FRON PORCH is still one of my favorites. Thank you for highlighting an incredibly talented and inspirational author. Sandra Belton generously gives of herself in all her books. Sandra shares from her heart the stories of others worthy of recognition and remembrance. Our youth, especially the pre-teens to early teens need to be exposed to Sandra’s writing — she is someone to emulate. Thank you for this, I will look for a few of Sandra Belton’s titles. I am a retired 2nd-grade teacher. A few years ago I introduced your books to my classroom. I am commenting on the books that have the little girls as the main characters and the little boy by the name of Clovis. All your books were throughly enjoyed by the children. Please continue to write and publish your fine works!